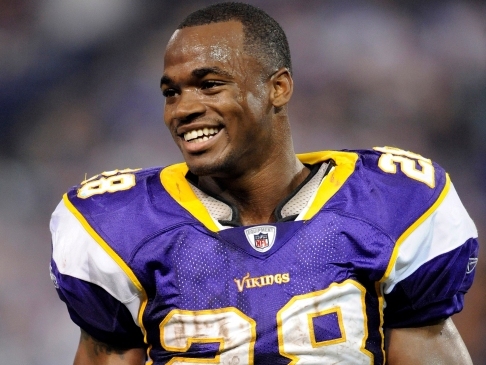 The Minnesota Vikings activated running back Adrian Peterson from the physically unable to perform list Sunday, only 7½ months after undergoing surgery to repair torn anterior cruciate and medial collateral ligaments in his left knee. The All-Pro running back promised fans that he would be ready for opening day after the devastating knee injury he suffered at Washington on Christmas Eve, and couldn’t hold back his excitement to be back on the practice field. To call Peterson’s comeback miraculous would be an understatement, as initially Peterson was told that he would need nine months to complete his rehab. But after photos surfaced of Peterson beating teammate Percy Harvin in up-hill wind sprints just 5 months after surgery, optimism amongst fans skyrocketed that he would be ready for week one. Peterson accredited his faith and work ethic in aiding his speedy recovery, citing that even some in the Vikings inner circle doubted him. Missed my last post? Terrell Is Back!